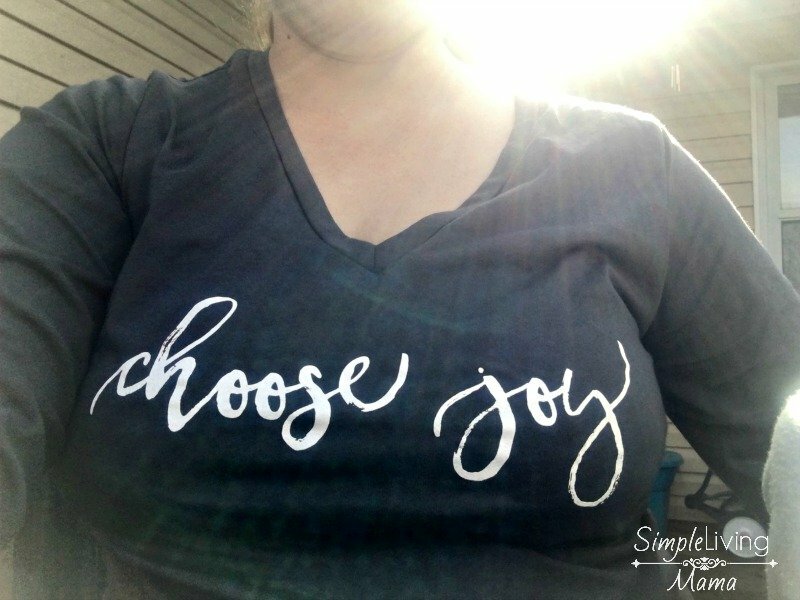 I got my awesome “Choose Joy” t-shirt from Cents of Style just a couple of days ago. In my mind I imagined getting dolled up, going outside, and taking some amazing pictures while wearing it for you. Do you wanna know what happened? It’s been raining every day since I got my shirt. I got up this morning and just wasn’t feeling well. I knew there was no way I was going to get outside and convince my eight year old to snap some pictures of me. 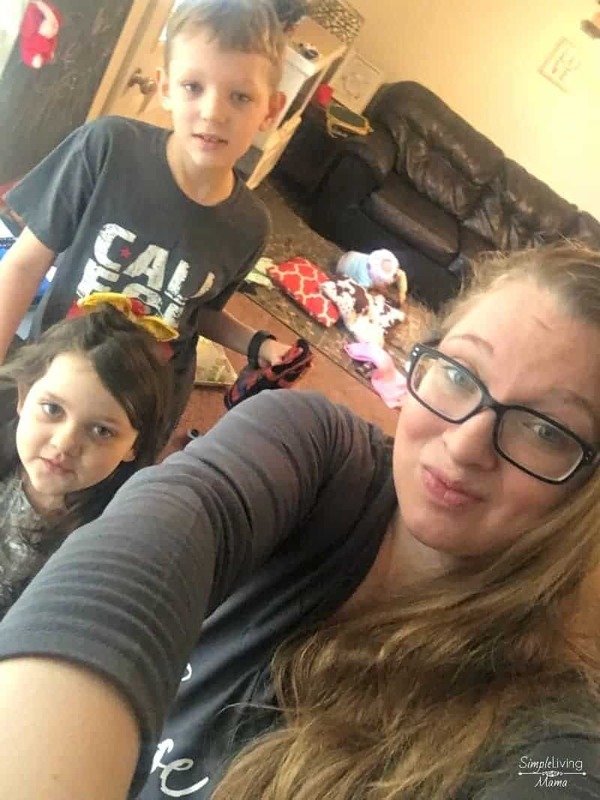 So, instead, here I stand in my messy living room, surrounded by my five children who have actually been fighting all morning. Last night was pretty terrible. Each one of my kids was up at least once, and a couple were up more than once. I’m running on very little sleep, but it’s been this way for years. My attitude has been kind of rotten today. I don’t always do well with screaming, fighting, and mess, but that is typical of life with a herd of little ones. Motherhood is messy. It’s tiring, exhausting. We give and give of ourselves, expecting nothing in return. And that is how it should be. Yes, it’s okay to feel tired. Yes, it’s okay to feel that you need a break, but don’t let the bad days of motherhood steal your joy. 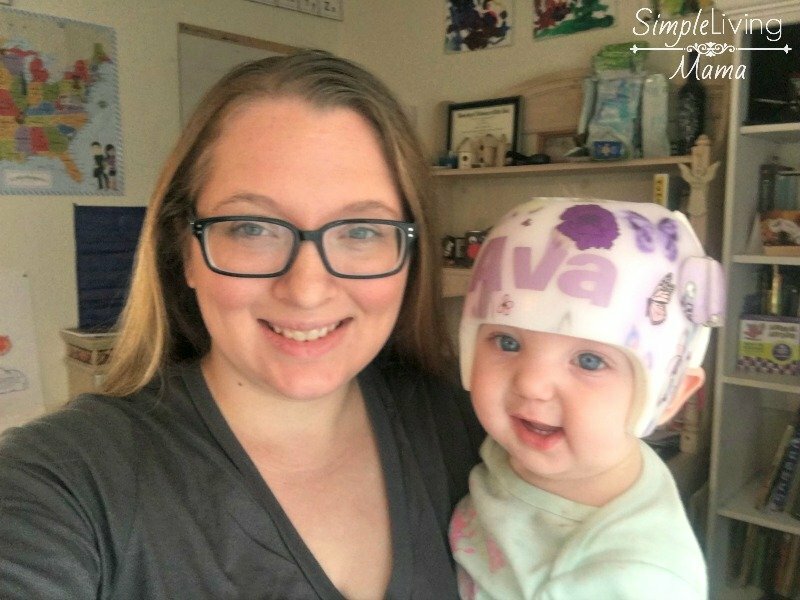 When I found out that Ava would have to wear a helmet for several months to fix her scaphocephaly, I was pretty devastated. On one hand, I was so thankful that she did not have craniosynostosis as originally predicted, but still, my baby would have to look different for a time. It all ended up being just fine. At our last appointment for her helmet adjustment a very young couple came in with a tiny baby. They saw Ava in her helmet and started asking me questions. The father looked at Ava and her helmet like it was just a terrible thing. I tried to reassure them it wasn’t as bad as it looked. That I’ve chosen to choose joy in our situation. Choose joy when you’re up at 7 a.m. after a restless night. Choose joy when your living room is a wreck because your kids have been playing all morning. Choose joy when the baby is crying and you have dishes to do. It’s not the end of the world. Take a breath, Mama. In the grand scheme of things this stuff is tiny. And it’s all gonna be okay. 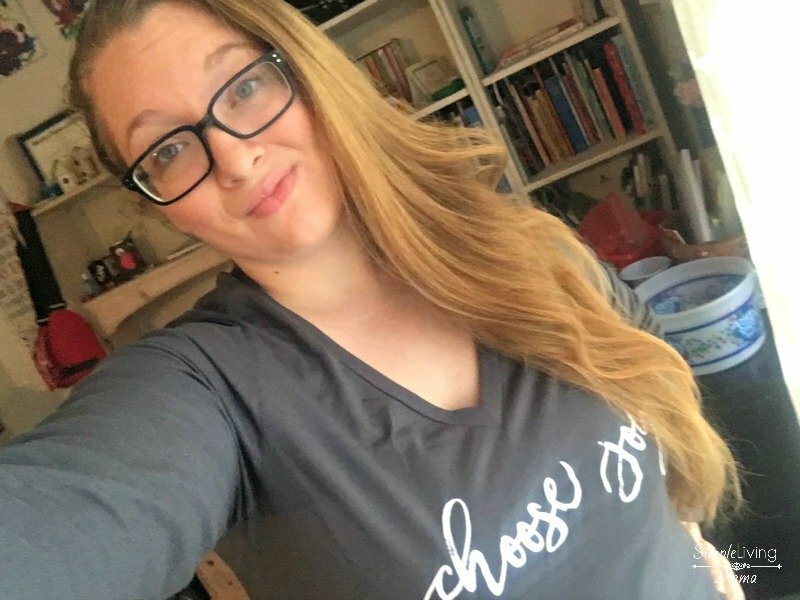 Want your very own inspirational t-shirt from Cents of Style? Use code INSPIRE17 for 50% off and FREE SHIPPING!